These entrepreneurship career books, formal & informal creative resources educate, transform lives, build capacity, skills, trade cognition and literacy, alleviate poverty, ensure autonomous and lifelong learning, expand horizons, advance readers and develop dynamism. 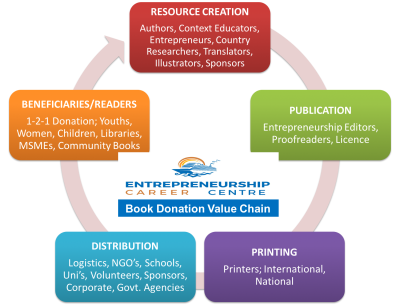 We enable entrepreneurship book donations to encourage entrepreneurship career education and training. Our books are delivered to thousands of beneficiaries through direct book donations, as resource for MSME training, for libraries, for agencies and so on all with one goal; to build entrepreneurial literacy and ability. 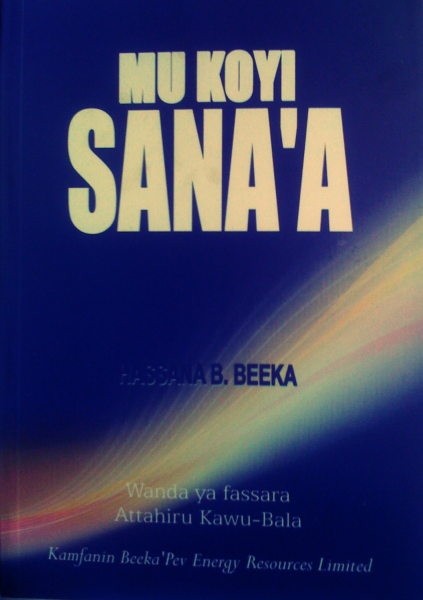 Hence, we generate funds and research, produce, and deliver entrepreneurship books (including translated) to develop critical thinking, business and lifeskills facilitating entrepreneurship opportunity recognition, and developmentat all levels. These resources developed from practical knowledge support and empower the educational purpose of youths and adults toward Micro, Small and Enterprise (MSME) business start-up or growth. Partner with us today, nominate beneficiaries, volunteer or provide financial support to fund copies for your nominated beneficiaries. Alternatively, we partner with stakeholders like schools, government agencies, the private sector, MSME training agencies, nonprofits, charities etc to ensure these entrepreneurship books are distributed worldwide and reach the best destinations for impact making adifference in lives. The BEE project aims to enable entrepreneurial career and business development. These books are timeless gifts of impactful learning and knowledge. Support us today to empower generations that can create jobs to wipe the tears off the faces of the vulnerable, alleviated from disadvantage toward making better social and economic choices through trade. Together we can utilise entrepreneurship resources to transform the world. Your support and partnership is invaluable. Our online donation are made through Globalgiving, 234give and Network for good. Click on their logo to take you to their site. Be a part of entrepreneurial career development., school, library and MSME success stories, donate to ECC today. Thank you. We would like to thank everyone who has supported our books and entrepreneurship education and trainng projects over the years. With special mention and appreciation to the following distinguished individuals, and organisations for their book project support on our mission to promote and develop enterpreneurship. (4) Small and Medium Enterprise Development Agency of Nigeria (SMEDAN). (10) The Plateau State Government, Nigeria. (11) Plateau Ministry of Commerce, Nigeria. .